What often sets successful people apart is their willingness to do things most of us fear. What’s more, we have the false notion that successful people like to do these things, when the truth is that successful people have simply found their own way to do them. 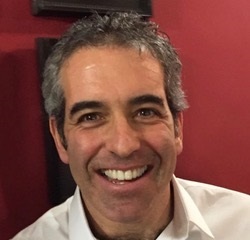 Andy Molinsky is a Professor at Brandeis University’s International Business School helps people develop the insights and courage necessary to act outside their personal and cultural comfort zones when doing important, but challenging, tasks in work and life. 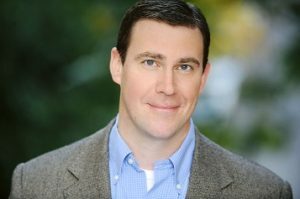 His work has been featured in Harvard Business Review, Inc. Magazine, Psychology Today, the Financial Times, the Boston Globe, NPR and Voice of America. During the show we will be talking about Andy’s new book Reach: A New Strategy to Help You Step Outside Your Comfort Zone, Rise to the Challenge, and Build Confidence. Join us to take the thing you are most afraid of doing and make it a proud part of your personal repertoire! The landscape is littered with the corpses of great products and strong companies that died because of bad marketing. Why do so many fail so miserably at differentiation? Why do high-priced ad agencies and marketing firms keep spitting out stupid campaigns? 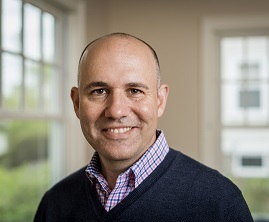 One of the most in-demand Business Marketing/Branding Keynote Speakers in the world today, David Avrin, CSP is known as The Visibility Coach. With a surprisingly irreverent and entertaining style, David delivers a profoundly insightful and hard-hitting message to business audience across North America and around the world. He is author of the celebrated: It’s Not Who You Know, It’s Who Knows You! (2014 Classified Press) and his latest book: Visibility Marketing! (2016 Career Press). Join us and discover how to uncover your true competitive advantages and a process to craft messages and tactics that achieve tangible results. When we reach the end of our lives and we look back, will we be able to say that we have given it everything? Have we lived a life of real meaning and depth? 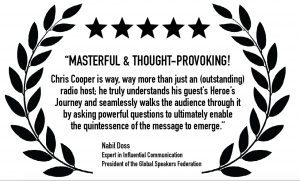 Craig Goldblatt, an Inspirational Speaker with 15 years experience has spoken at over 600 keynote presentations around the world and is fast becoming a global entity in his own right. He challenges and inspires audiences through his Inspired Seminars to be their very best and to understand that who they are is enough. 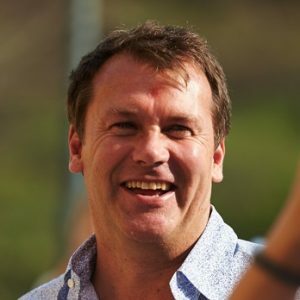 Craig is also founder of ‘Giving Africa’ a charitable organisation that raised funds to build a school for the children of a small town in West Africa. Craig made a big impact when he was a guest on the show 3 years ago, So time to catch up with him again for more inspiring conversation about how to get the most out of life. How do leaders expand their capacity and consciousness to play their role in dealing with complex changes that are impacting our planet’s future? Simon is Co-Managing Partner of Leaders’ Quest based in London. He works with global companies and institutions to make the transformational change required to meet today’s challenges. Simon has been a serial entrepreneur, building companies in Europe, the US and Canada. He joined an Amazonian exploration, spending four years doing scientific research and aid work in the Amazon, across the Himalayas, through Mongolia, and down Ethiopia’s Blue Nile. 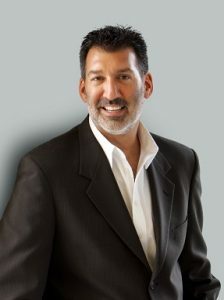 In 2006, he became the CEO of Right to Sight developing sustainable eye care projects while living in Africa and India. Simon has spent time since 2010 exploring how to combine profit with purpose, people and the planet. Join us to hear lessons from Simon’s incredible personal journey and wisdom on how leaders can play their contribution to solving he biggest issues the planet is facing today.